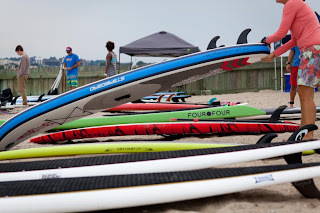 This past Saturday Save the Harbor hosted a swim and paddle board race at the M Street beach in South Boston. 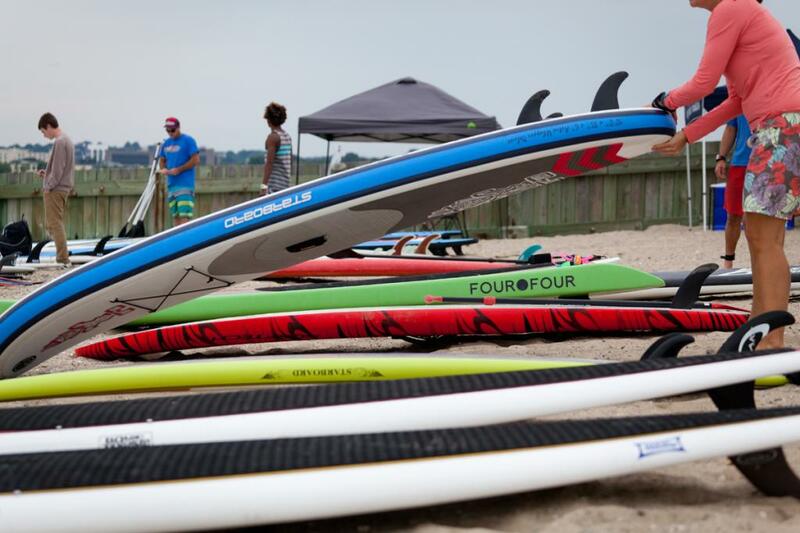 The swim and paddle boarders were all buzzing with excitement to get into the water and show everyone what they've been training so hard for. I arrived on site with my sister Thi at 7:40, 20 minutes earlier than we were supposed to arrive. Taking advantage of the situation and grabbing some coffee, my sister and I gradually witnessed the arrival of the staff once we returned. There were many things to do like pitching the tent, filling some containers with fruit and water, setting up tables, and setting up the banners of Save the Harbor and their sponsors. Pretty soon it was time for the race! The swimmers eagerly ran into the water and started to methodically swim around the buoy and back. It was so captivating to just listen to the sounds of the swimmers churning through the frigid water! I have never heard anything so unique in my life. In the blink of an eye some swimmers were headed back to shore, and were more than happy to race to the finish line! Following that were the paddle boarders. It was an amazing sight to see the look of accomplishment on each and everyone of the swimmers and paddle boarder's faces once they finished. I have to say I couldn't have spent my Saturday morning at a better place.